where Internet access is required for a short period. DrayTek 4G LTE routers, including the Vigor2862L series and Vigor2926L series, have all the features you need for a network in a small to medium size business. Each of these routers has an integrated LTE modem and accepts a SIM card from any of the major broadband service providers in Australia (Telstra, Optus, Vodafone, etc. ), as well as those in New Zealand (Spark, 2Degrees and Vodafone). Speeds up to 150Mbps downstream and 50Mbps upstream are supported. What’s more, each of the wireless models, Vigor2862Lac and Vigor2926Lac, has a built-in 802.11ac wireless access point. With the 4G LTE internet access and strong network features, the DrayTek 4G LTE routers support a wide range of application scenarios besides indoor oﬃces, including internet access for mobile and PC devices on public transport, outdoor events and mobile oﬃces. One ideal application of either the Vigor2862Lac or Vigor2926Lac routers is to provide internet access for passengers on public transport such as tourist bus or coach. For the transport company to provide free Wi-Fi access for its passengers, the wireless router can be placed in a suitable location on the bus to provide good Wi-Fi coverage throughout the bus. 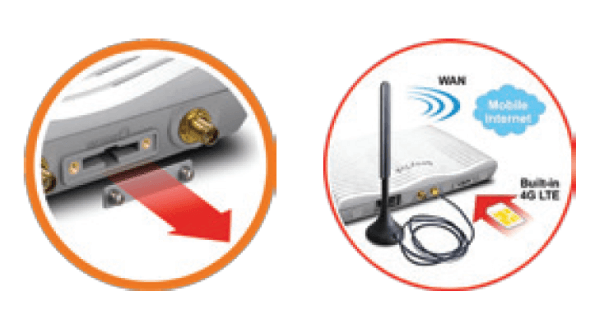 On larger busses or double decked busses, you can install a Wi-Fi access point such as the VigorAP 902 to extend the Wi-Fi coverage. The passengers can be given unrestricted access to the internet, or the User Management feature in the router can be used to issue usernames and passwords for the passengers to prevent unauthorised users outside the bus from getting free internet access. In addition, users can be directed to the company web portal for information on the services. Other security measures that can be implemented are the use of the ﬁrewall and Content Security Management (CSM) to protect the users from undesirable website contents (eg. for under aged passengers). A range of leisure and social activities such as sports events, weekend markets or special functions, require short term internet access. At most such outdoor locations, there is no ﬁxed cabling to provide ADSL, VDSL or NBN services, and the only way to provide internet access is to use wireless broadband. Both the Vigor2862Lac and Vigor2926Lac routers can be set up quickly and provide internet access for these events. The user management, web portal and ﬁrewall/CSM features can be used to enhance the operations. You can also use the Wi-Fi hotspot feature where users connect to your Wi-Fi network using the social login accounts such as Facebook or Google login, and monitor who is using your services. 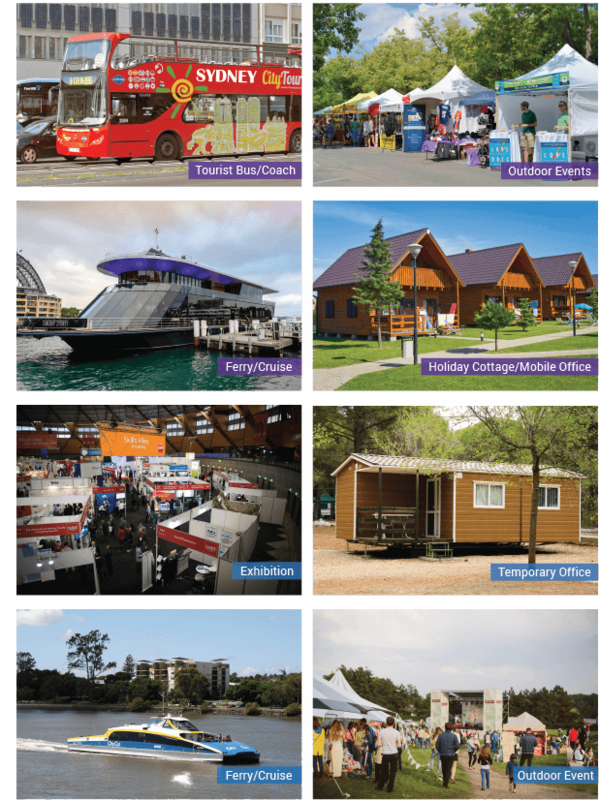 Mobile oﬃces for businesses or projects may be at temporary sites without permanent internet access facilities. Both the Vigor2862L and Vigor2926L series routers can provide internet access for these mobile oﬃces. For your inter-oﬃce communication needs, you can set up VPN connections over the 3G/4G network to share network resources such as ﬁles and servers. To protect your network, you can conﬁgure the Object-oriented SPI Firewall, DoS defense, CSM (Content Security Management) and WCF (Web Content Filter) as required. Additionally, the VLAN feature allows up to 8 workgroups to be set up to add further security and to provide diﬀerent levels of network access based on the workgroup.